For this assignment, I decided to look around the house for shadows that resembled familiar objects and relate the shadow objects to the original objects. I found some more visually complex combinations throughout the house including a curtain whose shadow looked like a giant cactus plant and a Santa figurine whose shadow looked like a an ice cream cone. Although less visually appealing, the one that got me thinking the most was a simple shadow of a dresser drawer. 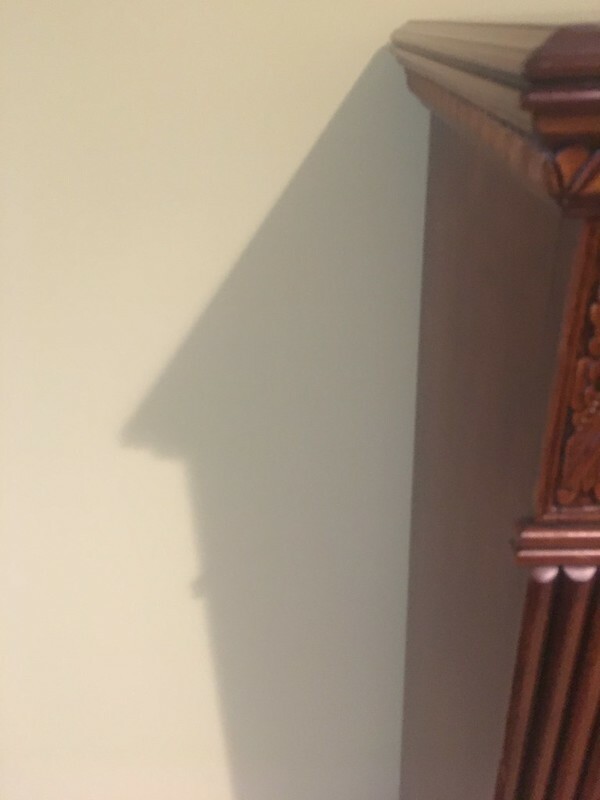 The shadow clearly looks like the roof of a house in the suburbs. So after contextualizing the dresser drawer as a house, I realized that many different tenants had lived in this “house” over several periods of time. It housed my favorite sweatshirt, with a yin-yang symbol and the words micro and macro on each side of the symbol. It housed my favorite socks, themed with my favorite sports team’s logo (the Detroit Redwings). It housed all of my boxers, from Sponge-bob themed delights to the more plain, solid black ones. Perhaps these tenants all found ways to get along in these tightly packed drawers. The socks and boxers chose a less compartmentalized approach, preferring to be mixed in together. The shorts and pants, however, preferred their own corners and clearly defined barriers. Then there was the miscellaneous drawer. You never knew what was in those drawers until the other drawers were close to being empty – but the tenants in that drawer knew their day would come, soon before laundry day. Each drawer was the setting of numerous stories and memories ranging from black tie events to birthday parties to lazy days at home. All of those moments started in these drawers, and what a wonderful home they’ve been to the tenants and the landlord.